William Perry, whose melodic and colorful scores are heard on this recording, was for twelve years the Music Director of the Museum of Modern Art in New York, where the collection of silent films is one of the finest in the world. Perry composed and performed more that 300 film scores while at the Museum, and his evocative treatment of great silent films played a major role in the reawakening of interest in these masterworks. To the thousands of people who heard him perform live at the Museum can be added the millions who subsequently heard his scores on the two legendary PBS series, The Silent Years, hosted by Orson Welles (1971) and Lillian Gish (1975). 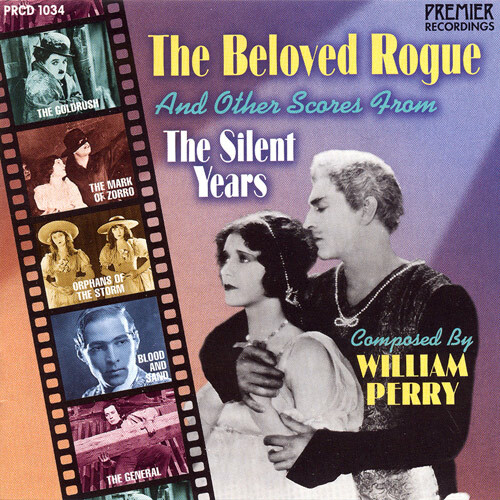 The Beloved Rogue, his recording of music from six classic silent films has long been out of print, and the few remaining copies of this treasured CD are offered here in very limited supply.